Al began his Florida Real Estate Career in 1985 as an associate for a Century 21 franchise. In 1987 he bought the franchise and built a sales team of 25 highly trained sales associates in new home construction, vacant land development, and general real estate services. Whether your buying or selling Al brings to the table 28+ years of experience on the Treasure Coast and Central Florida. 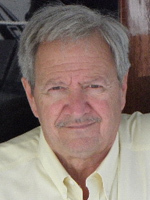 Married to Suzanne, Al is also Coast Guard licensed and an avid blue water angler.